Music is uniquely visceral. Whereas much of cinema’s arsenal operates on the basis of arousing the intellect, music arouses the soul. It can pierce the deepest of psyches and strike a chord on a widespread level that perhaps other arts cannot so readily do. A carefully placed piece of music can beguile the emotions and express meaning in an almost overwhelming manner. It is for this reason that filmmakers so readily turn to music in their work. 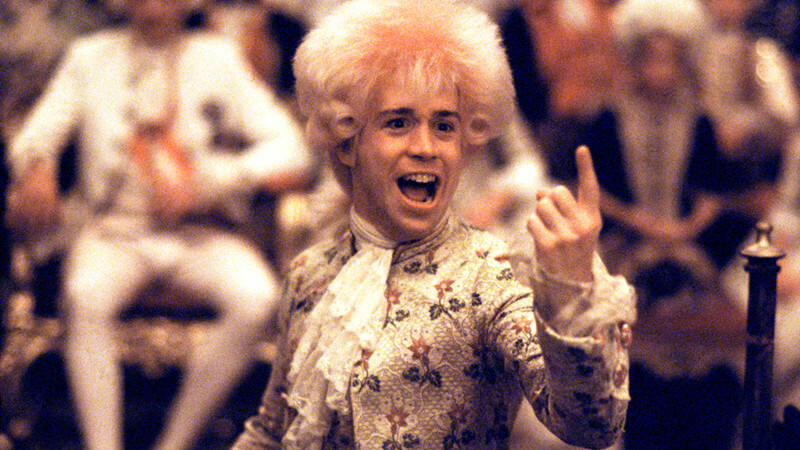 In this list we turn to ten distinctly powerful examples of music in cinema. These will largely be diegetic in character due to the fact that their diegetic nature gives priority and focus to the music. While a non-diegetic score proves to be the emotional backbone of a film, it is there to serve, not to be the focus. These ten films show us how music and its unique powers, can express feeling and develop a thematic narrative. Stanley Kubrick was often criticised for what was deemed a cold examination of the human condition. Such opinion however never accounted for Kubrick’s early masterpiece Paths of Glory (1957). In this anti-war drama, Kirk Douglas’ Colonel Dax battles against the dehumanisation of his men by an unfeeling and untouchable military hierarchy. Dax, despite his efforts, is unable to halt the court martialling and killing of three of his men, chosen at random in order to rectify the regiment’s “cowardice” in the face of a clear suicide mission and their superiors’ mishaps. We are left feeling great sympathy for these pawns, trapped in a game of chess that holds severe consequences for the pieces but not the players. It is here at the culmination of our sympathy and anger that Kubrick discards the mantle of director and adopts that of the conductor. As the soldiers enjoy a brief respite from their daily hell (a variety show), a captive German lady is brought on stage (played by Christiane Kubrick, the future wife of Stanley). She is sexualised, verbally goaded and treated with disdain by the men. This crushes both the viewer and Dax. Just as it seems that Kubrick is about to leave us with a dark and despondent message about cycles of hate and dehumanisation, the captive begins to sing “The Faithful Hussar”, an old German folk song. Silence gradually ensues. The beautiful yet fragile quality of the lady’s voice pervades the room. Both soldier and viewer are enthralled. As she sings, battling fearful tears, the camera cuts to close-ups of the men- they too are crying. The men begin to hum with her and she smiles. In a sudden crescendo of emotion, these soldiers and the German captive become one in solidarity- victims of inhuman circumstance and an indifferent system. The soldiers reclaim their humanity, something the men who send them to their deaths are unable to do. Without dialogue, this one song tells us much about the human condition. It does so on an emotional level. It is true that much of Kubrick’s work stimulates the intellect, but what Paths of Glory’s final scene shows is that Kubrick was not incapable of offering an emotional earthquake to jar our subconscious awake. The legendary Akira Kurosawa will long remembered in the West for his samurai films. From the Westerns of the 1960s to George Lucas’ Star Wars saga, Hollywood owes a great debt to these films. 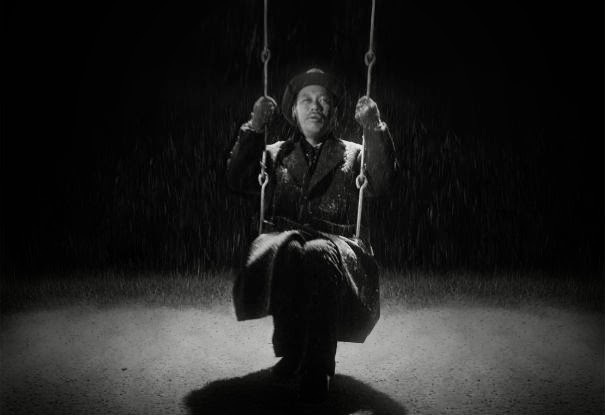 Yet it is Ikiru (1952)- in which we follow the final days of a contemporary bureaucrat- that is possibly Kurosawa’s most powerful film. Based on Leo Tolstoy’s The Death of Ivan Ilyich- the film follows Kanji Watanabe (Takashi Shimura in perhaps his greatest performance) as he pursues meaning following a recent terminal cancer diagnosis. Lacking any true semblance of family by traditional Japanese standards and having dedicated his life to a meaningless bureaucracy- Watanabe finds himself lost. We see the oppressiveness of this soulless bureaucracy when a group of parents petition for a cesspool in their local community to be replaced by a playground- they are sent from one department to another, to no avail. Watanabe firstly looks to ease his pain, immersing himself in Tokyo’s nightlife. This does not offer him the release he seeks however. Eventually he meets a young, female worker who requires his signature for her resignation. Recognising a love of life within her- he asks her for this secret. The only wisdom she can offer is that her new work building toys gives her a sense of purpose- she is able to bring joy to children. And so, Watanabe dedicates himself to the building of the playground that had been destined to be lost in its bureaucratic maze forever: thereby, facilitating good for both himself and the community. Twice during Watanabe’s journey he sings ‘Gondola no Uta’ or ‘Life is Brief’- a 1915 Japanese ballad. The song is sung from the perspective of an older character warning the young that life is fleeting and that they must experience all they can during the prime of their life. He firstly sings this in one of Tokyo’s nightclubs. Drunk and despairing, he sings along to the music. The clientele in his vicinity become instantly affected by the hurt and emotion in his voice. They move away uncomfortably. The camera then stays in a close-up of Watanabe’s face as tears fall uncontrollably. This first performance characterises the sense of loss and regret Watanabe is feeling perfectly. Shimura’s fragile voice, slightly out of rhythm with the piano really allows us to feel for Watanabe. But the song attains its true power from its second performance. Having succeeded in his efforts to facilitate the construction of the playground, he sits alone on its swing. Heavy snow falls as he rocks back and forth. He sings once more, but this time its less despairing. The fragility remains but it is now sung almost in sad satisfaction. He has achieved something. Instead of singing ‘Gondola’ to himself, it is as if Watanabe is now singing it to us. The song in effect symbolises the entire message of the film- we must live life to the fullest while we still can. In a short time Watanabe has achieved that. Where Watanabe first sang Gondola with regret, he now imparts the song’s message with contentment. Watanabe singing in the snow proves to be one of cinema’s most enduring and beautiful scenes. Steve McQueen’s 12 Years a Slave (2013) is arguably one of 21st century cinema’s few true masterpieces. The story- based on the memoirs of Solomon Northup (Chiwitel Ejiofor)- follows twelve years of Northup’s life as a slave in the Antebellum South. 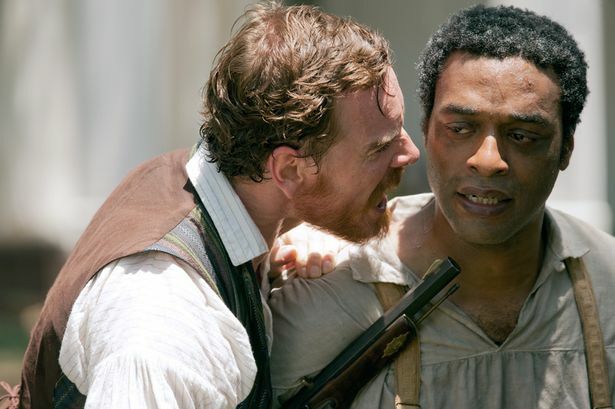 Drugged and kidnapped from Washington D.C- where he lived with his family as a free man- Northup proceeds to be sold to plantation owner, William Ford (Benedict Cumberbatch) before circumstances lead him to the more brutal slave-owner, Edwin Epps (Michael Fassbender). In the midst of this, Northup seeks to hold on to his status and dignity as a free man. Cinema is first and foremost a visual medium and McQueen typically excels in demonstrating a high quality of visual literacy throughout his films- 12 Years a Slave is no exception. Throughout this heavy-hitting film we are given a cinematic master-class- from knowing when to cut and when not to cut, to the beauty and brutality depicted in the cinematography- 12 Years stirs our emotions like not many films can. One moment that excels in this regard is the gospel singing during the funeral scene. Preceding this scene, Solomon places his trust in a white field hand to deliver a letter explaining his unlawful slavery. The man betrays Solomon’s trust and informs Epps. Solomon desperately lies to Epps- claiming to be illiterate and that the man was simply a drunk seeking to lie his way to an overseer position. The lie seemingly works. Covering his tracks, Solomon burns all his writings. As we watch the papers burn and the emanating light diminish- it also reflects the destruction of Solomon’s belief in his own ability to enforce his own freedom. With this- we cut to Solomon picking cotton. A nearby slave collapses- killed by the hand of inhumanity. More and more we feel the helpless resignation Solomon is falling into.
. ‘Roll Jordan Roll’ was a spiritual written by a white Christian, but developed its own meaning amongst slaves. The river Jordan was viewed in the sense of the rivers that led northwards- to freedom. But despite this- we see an ironic sadness in Solomon’s singing. Where before he had craved his freedom and sought that outcome- he is now resigned to his life of slavery. He must take solace- like those born into slavery- in spirituals. The scene becomes immensely powerful in that we know that slavery has broken him. Hope is lost- and Solomon feels it. All he can do now is long for freedom in song. 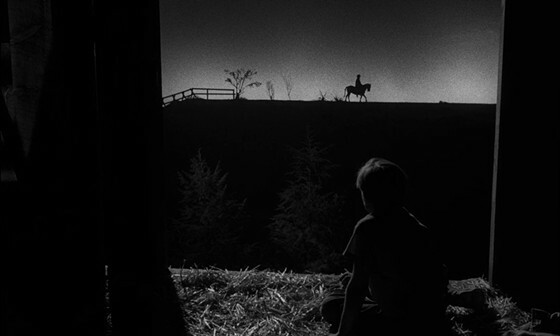 In The Night of the Hunter (1955)- what was sadly Charles Laughton’s only directorial outing- the hymn, ‘Leaning on the Everlasting Arms’ haunts the screen. The song acts as a calling card for the fearsome and unrelenting antagonist Harry Powell (Robert Mitchum). The film follows Powell- masquerading as a preacher- as he manipulates a naïve widow into marrying him. This is done in the hopes of getting his hands on the $10,000 her deceased husband had stolen in a robbery. The widow’s young son, John however sees through this ruse. After Powell kills the mother, John and his sister Pearl flee the menacing trickster- with the $10,000 sowed inside little Pearl’s doll. So begins a chase of cat and mouse, as John and Pearl escape by river boat- with echoes of song not far behind. The hymn is used consistently throughout the film and its chilling power provides a number of the film’s iconic scenes. One of these standout moments is during a moment of rest following the children’s escape. John sees the distant silhouette of Powell slowly riding along on horseback. The silent night is interrupted by his powerful baritone voice. The hymn adds to Powell’s unrelenting aura- a demonic figure that cannot be stopped. Knowing that this man’s religious façade is but a show, his singing of this hymn- seemingly to himself- just adds to the psychotic nature of the character. It gives what is already an unsettling rendition an added depth of uncanny quality. But the scene where ‘Leaning’ culminates both lyrically and thematically is the duet between Powell and Rachel Cooper (played by the legendary silent star, Lillian Gish). John and Pearl eventually come under the protection of Cooper, a devout Christian who houses stray children. She sees through Powell’s act and chases him from her property. During the night, Powell returns. Cooper sits on the porch- rifle in hand. Powell begins his song, except this time- in a Manichean battle of good and evil- Cooper defiantly sings ‘Leaning’ in a melodic counterpoint to Powell. She is both defiantly protecting the children and reclaiming her religion. It is the perfect musical showdown. Song has been the key source of fear throughout the film- so it seems right that it be the light that battles this dread. Whether it’s the film’s use of a German Expressionism inspired aesthetic, or the captivating performance of Mitchum and Gish that make this atmospheric film unforgettable – the echoes of “Leaning” stay with you long after the film’s conclusion. It would be hard to think of a more iconic director-composer duo than Sergio Leone and Ennio Morricone. Having worked together to provide a number of iconic moments, one in particular that stands out for its power is the final duel in For a Few Dollars More (1965). 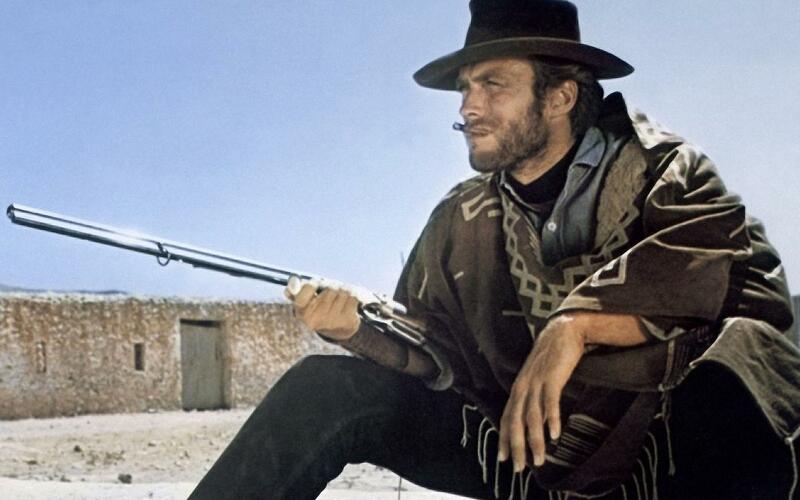 Starring Clint Eastwood as the iconic “Man with No Name”, this was his second outing as the character following A Fistful of Dollars (1964) and preceding The Good, the Bad and the Ugly (1966). For a Few Dollars follows Eastwood’s hero as he teams up with a bounty hunter named Douglas Mortimer (Lee Van Cleef) and they hunt the psychotic El Indio (Gian Maria Volonté). El Indio is haunted by the image of a young woman he raped. To end her ordeal she shot herself with his gun. It is this woman’s musical pocket-watch that he uses- a consistent reminder of his past trauma- to time his duels. The chimes begin before the tempo gradually slows to a stop and someone is shot. El Indio’s seemingly unrepentant actions and psychotic nature leave us no clue as to why the woman’s death affected him so much. Yet this enigmatic nature provides an added dimension to the final duel. Finding himself alone at the mercy of El Indio, and his gun out of reach, Mortimer is told that once the chimes end he must try and pick up the gun and shoot. The chimes begin. The tension becomes intolerable. Once the chimes are on the verge of stopping however, another, identical pocket-watch playing the same tune interrupts. Clint Eastwood enters. Mortimer pulls out his pocket watch to see that it is missing. In one musical moment- we realise that the girl means something to Mortimer (who is revealed to be his sister). El Indio realises this too. As this duel is suddenly given a greater emotional dimension, non-diegetic brass interweave with the diegetic chimes. We hear a definitive Morricone sound. In a few seconds we are given tension, an emotional narrative and style. 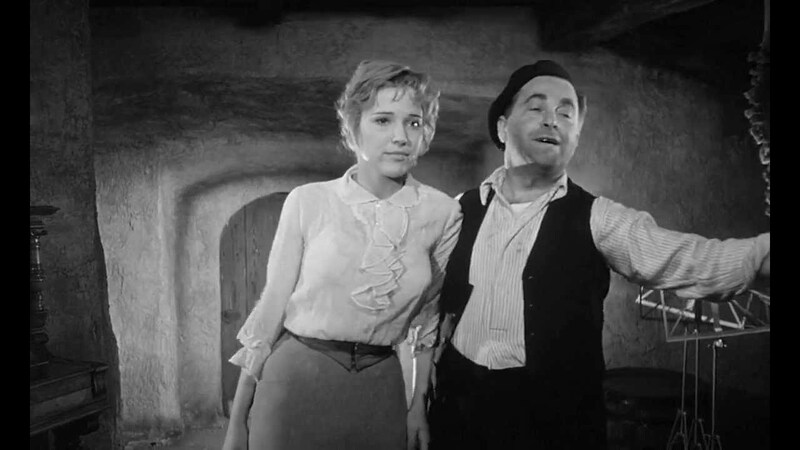 The chimes and the score are able to guide a scene with minimal dialogue. As Clint Eastwood hands Mortimer a gun of his own- making the duel fair- they begin. The Chimes take over again as the brass dissipates. El Indio sheds a tear as he now sees the woman’s face embodied in her brother. Once again tension ensues. In effect, the emotional subtext of the chimes interweaving with the typically Morricone-Western score helps transcend this duel from tense finale to something greater. It is this combination of emotion and tenseness that makes it a more powerful scene than even the iconic finale for The Good, the Bad and the Ugly, in which tension is largely the source guiding the music. Here we experience a symphony of emotion, tension and just pure cool.